I wanted to share some of my recent favorite finds at Trader Joes. First off is frozen cauliflower rice which I'm sure you've heard everyone talking about replacing cauliflower for rice. I've made it from scratch but it was a lot of work and has to be eaten immediately. 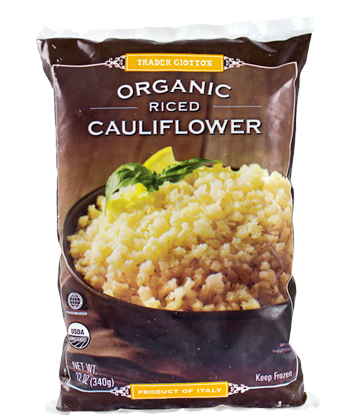 When TJ's announced they were selling frozen cauliflower rice in their flyer last summer I was ecstatic! But I couldn't find it in any stores until now. I wasn't sure how it would hold up frozen, would it melt too soft, but no it was perfect! 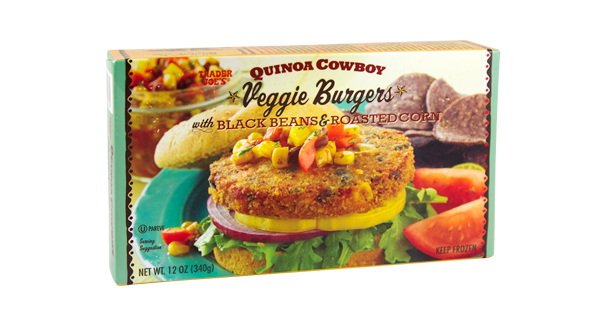 I'm really picky about my veggie burgers and I absolutely love TJ's Quinoa Cowboy burgers! It has a slightly crunchy exterior. I just add some mustard to it and it's perfect! I was never much of a hummus fan but lately have been getting into it as an afternoon snack at work. I picked up this weird looking product which says the first ingredient is chickpeas. It has a strong flavor of beets but is still pretty good. 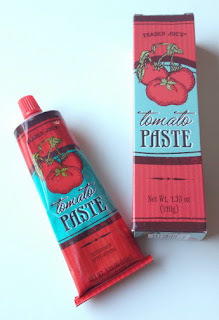 Do you ever open a small can of tomato paste for a recipe, then the rest gets moldy in your fridge if you don't use it fast enough? Yep that's me! Tomato paste in a tube is the best invention ever! I always keep fresh parm at home to sprinkle over food, but I've never been a gouda fan. But this mix of the two cheeses makes for a really creamy, delicious cheese! One thing that annoys me about TJ's is that all of their wines are priced with 99cents after it to make it look cheaper. 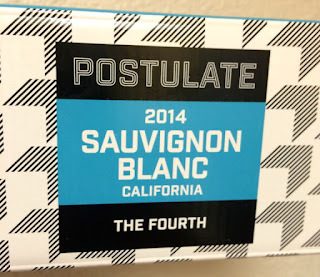 I've dabbled in the world of boxed wine before and decided to try this new brand at TJs. Postulate Sauvignon Blanc priced at $7.99 in a box that equals two bottles! It's crisp and slightly sweet. This would be good to take on a picnic. 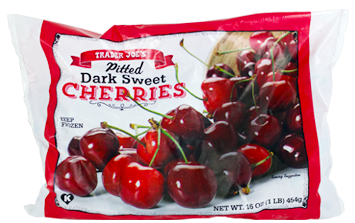 Cherries are seasonal and pricey so TJ's frozen cherries are the best thing ever! I buy this year round to have cherries in my oatmeal. 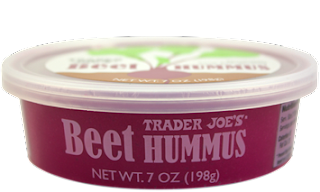 Now I'm always open to trying something new, hence the beet hummus. So I picked up this black bean pasta. Epic fail! The ingredients only say black bean flour which to me isn't clear if it's all black beans or part white flour. I took one bite and threw the rest of the package away. I think I'll stick with TJ's Brown Rice & Quinoa Pasta which is still one of my favorites. 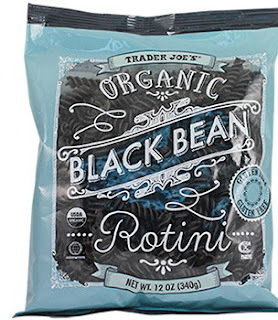 You can read my previous Trader Joe reviews here. 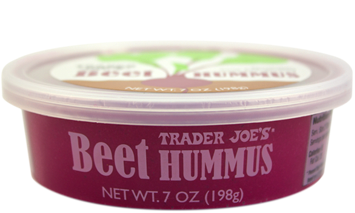 What are some of your favorite Trader Joe's items? Canada needs Trader Joe's ASAP!! !